The Merrick Manor Luxury Residence condominium project has received the much-anticipated building permit. Construction of this exceptional, centrally located building in Coral Gables, will begin shortly. Major construction of Merrick Manor Luxury Residences will begin on February 1st, 2017. Today is a marvelous day at The Astor Companies. Astor is delighted to announce that the much-anticipated building permit has been received. Major construction of Merrick Manor Luxury Residences will begin on February 1st, 2017. The construction team has started the pile-work on the building site, and high voltage crews have started to remove the overhead utility lines. This project has been long in the planning and permitting stages. It has overcome many obstacles. However, due to the incredible persistence of Henry Torres, president of The Astor Companies and his team, the project has stayed on track and is moving forward. At every turn, officials at the City of Coral Gables have provided valuable guidance and assistance in going through the process. The Astor Companies owes a debt of gratitude to these officials and the leadership of the City of Coral Gables, for the hard work and effort involved in a project of this magnitude. Without their assistance and confidence in this project, it would not have been possible to advance to this consequential milestone. Merrick Manor is a 10-story contemporary Mediterranean Villa-style condominium project designed by architectural firm Behar & Font, with the lobby and all interior community areas designed by world-renowned design company, Interiors by Steven G. Merrick Manor will be located in the most desirable and exclusive enclave of Coral Gables. 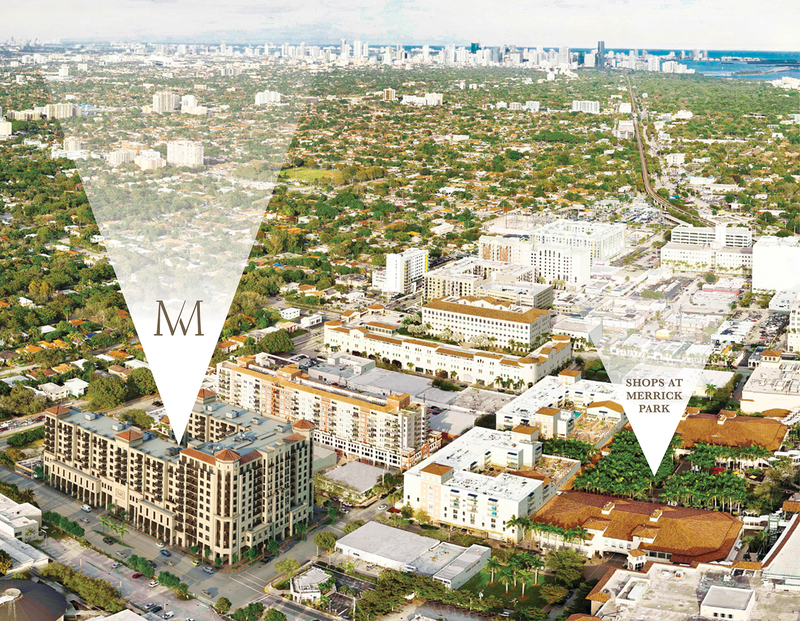 Immediately adjacent to the Shops at Merrick Park, when completed Merrick Manor will consist of 227 unique residential units and 19,000 square feet of prime retail space with 24-hour valet and concierge service. The team at Astor Real Estate Group, which is headed by Sales Director and Principal Broker Roza Radkiewicz, is currently located a 4311 Ponce De Leon Blvd, Coral Gables, Florida 33146 and can be reached at (305) 779-6870. The sales team is looking forward to the spacious new Sales Gallery. It is being built-out across the street from the construction site at 4200 Laguna Street, Coral Gables, FL 33146. They continue to provide excellent service to clients and real estate professionals, which are an integral part of this project. Information on the remaining residences, finishes and design options are available, as well as great knowledge of the surrounding areas. Frequent events are held to provide information on the history of Coral Gables and the greater Miami area, plus additional guest speakers give seminars on various Real Estate topics. To find out when the next event will be held, call (305) 770-6870. The Astor Companies is a privately held real estate development firm based in Miami, Florida with experience in all facets of the industry, including the development, construction, leasing and management of multifamily properties. With an eye for detail, Astor incorporates exceptional architecture, interiors, and amenities into each of its projects. Led by Henry Torres, the company has successfully delivered numerous residential developments throughout South Florida valued at more than $300 million, including InTown, Brickell Vista, Nordica, Gateway to the Grove, and Valencia. For more information, visit http://www.merrick-manor.com and http://www.astorcompanies.com.